If you just want to go a few shades lighter than your hair color, the best way it to do it is naturally. Unless you choose a very good quality (and expensive) dye, these products contain harsh chemicals that can weaken your strands and irritate the scalp. But if you’re running short on your budget, no worries. There are a few beauty hacks you can use to lighten your hair naturally. Your pantry hides many beauty secrets, and there is where you will find the ones to lighten up your hair too. These are common foods that everyone is highly likely to have at home at the moment, so, if you’re willing to try them, get ready. Lemon juice is one of the oldest and effective tricks to lighten your hair naturally that you can use. However, for it to be truly effective you should use the juice of a freshly squeezed lemon. The bought varieties or other products with lemon may contain preservatives that can condition the final result. 1. Mix all the ingredients in a spray bottle and shake vigorously to combine them. 2. Apply the concoction to the hair, either soaking it completely or only some strands if you want highlights. 3. Go out in the sun for 30 to 60 minutes. 4. Wash your hair thoroughly and apply a good nourishing mask afterwards. Chamomile is a common ingredient in hair products for blondes due to its lighting properties that brightens the color and give it a more radiant look. Despite being effective, it won’t produce any visible results for brunettes or any other darker shade of hair. 1. Let the tea cool down and pour it into a spray bottle. 2. Spritz your hair until it is well saturated. 3. Go sit under the sun for about 30 minutes. 4. Wash the tea off with shampoo and end with a nourishing mask. Applying cinnamon in the hair is a great way to lighten it up and it works with darker shades too. For it to be more efficient you should repeat several times until you achieve the desired color. Plus, it leaves your hair smelling great! 1. Mix the ingredients until obtaining a perfectly blended but thick paste. 2. Comb your hair with the mixture, ensuring that it is well distributed throughout the strands. 3. Leave the paste on overnight or for at least 4 hours. 4. Wash your hair with shampoo and apply a conditioner or a moisturizing mask. Don’t try to use the regular rhubarb you just eat to prepare the method to lighten your hair. 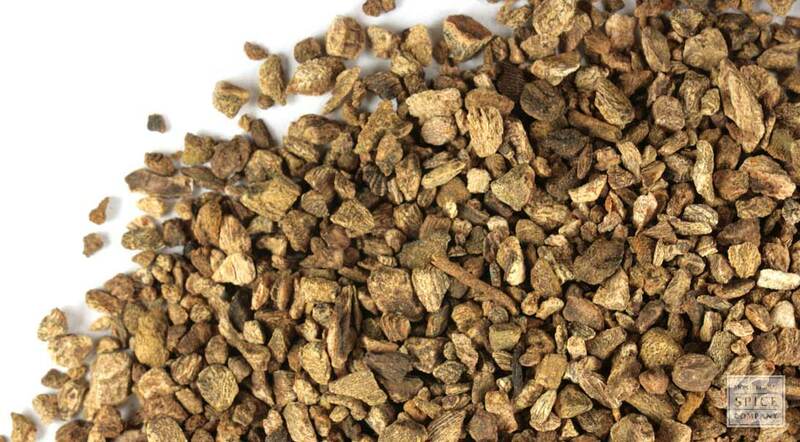 For it to work, you need to use the root which is toxic for humans and pets since it contains oxalic acid. If you have some rhubarb growing in your garden, great. Just dig the root out and wash it thoroughly before using it. If you don’t, you can normally purchase dried rhubarb root in a health food store. It comes either chopped or in powder. 1. Take the root to boil in the water for 20 minutes. Avoid inhaling the steam. 2. Let the mixture steep overnight. 3. Strain the mix the next morning and rinse your hair with it. 4. Let your hair air-dry before washing it with shampoo and conditioner. If possible, let your hair dry under the sun. 5. Repeat twice a week or until achieving the desired shade. Due to its bleaching properties, apple cider vinegar will help to brighten up your hair a few shades while giving it slight reddish highlights. As with lemon, you should moisturize and nourish your hair very well afterwards as the vinegar will dry the strands and strip them of their natural oils. 1. Mix the water and the vinegar in a spray bottle and shake to combine them. 2. Spray the mixture in your hair until is fully saturated. 3. Leave the concoction on the hair for about 30 minutes. Alternative: instead of spraying your hair you can also rinse it with the mixture. These tricks to lighten your hair naturally will only lighten it up 1 or 2 shades. The effect also varies greatly from person to person, depending not only on the color but also the particularities of each hair. They generally work better for blondes and medium brown hair. In darker shades, their effect might not even be perceived. Some of these tricks work better if repeated several times and for several weeks. However, you should bear in mind that some of these are perfectly safe for your hair only if used occasionally. The lemon, for instance, it’s great to lighten your hair naturally while supporting its health due to its antimicrobial properties. However, it is also an acid and can cause damage to the strands if used often. Lemon juice is great to lighten your hair naturally but you must be extremely careful not to let it run through your skin before going on in the sun. Likewise, you should avoid applying it on the scalp and limit its use to the strands. Lemon juice increases the skin photosensitivity, increasing the risk of severe sunburn and tan spots where it has touched the skin. Try to avoid letting it spill on your forehead and shoulders and consider using a high neck T-shirt or jersey when you sit under the sun with your hair loose waiting for the lemon to act. Remember also to wash your hands thoroughly.